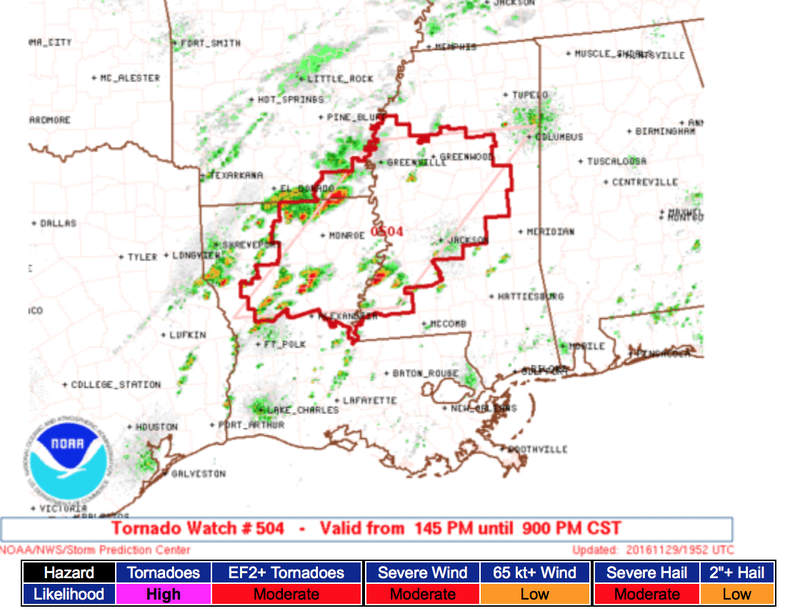 The first tornado watch has been issued and is in effect until 9pm CST. Note that the risk of tornadoes is "high" and that risk of strong (≥F-2) tornadoes is "moderate." Here is the latest tornado outlook valid from now until 6am CST Wednesday. There is a real risk of the tornado threat continuing after 9pm and additional watches may be needed. 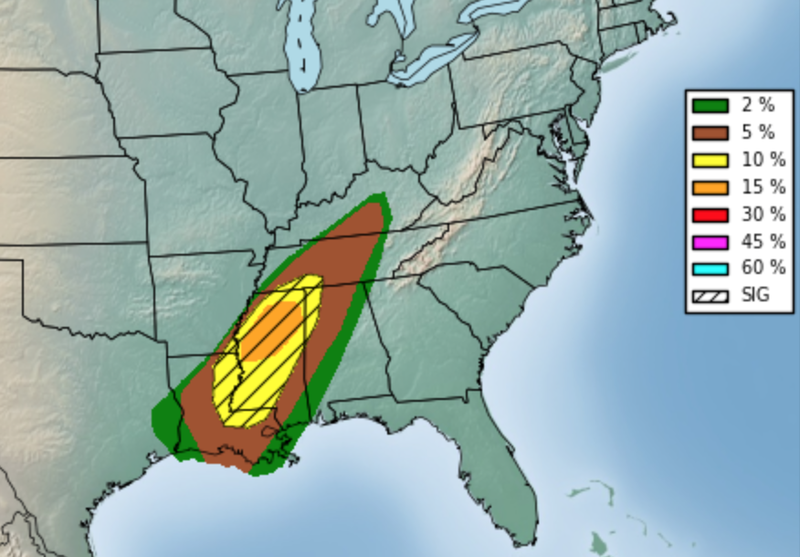 Everyone within the brown area is at significant tornado risk. The hatched area is where violent tornadoes are forecast to occur. The yellow, and especially, orange areas are at special risk. 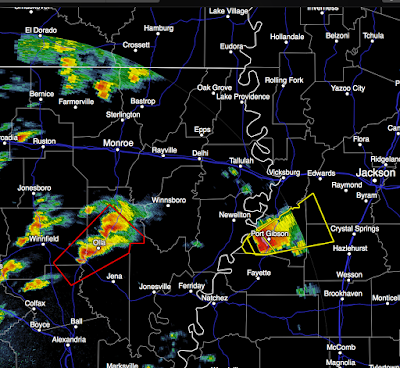 The first tornado warning (red polygon) south southwest of Monroe, LA was just issued. Storm moving northeast. Radar from 2:02pm CST. Please pay attention to the weather if you live in these regions and thunderstorms approach or the sky appears threatening. Great work as always. Thank you Mike!